Agersens to work with The Ohio State University to to test eShepherd in the U.S. beef, dairy, and small ruminant industries. Agersens and The Ohio State University have signed a Memorandum of Understanding (MoU) that paves the way for the two organizations to implement research trials to determine the efficacy and economics of the eShepherd system for local conditions. eShepherd is a smart collar system for livestock, enabling producers to create “virtual fences” and use their smart device to remotely fence, move, and monitor their livestock around the clock from anywhere in the world. 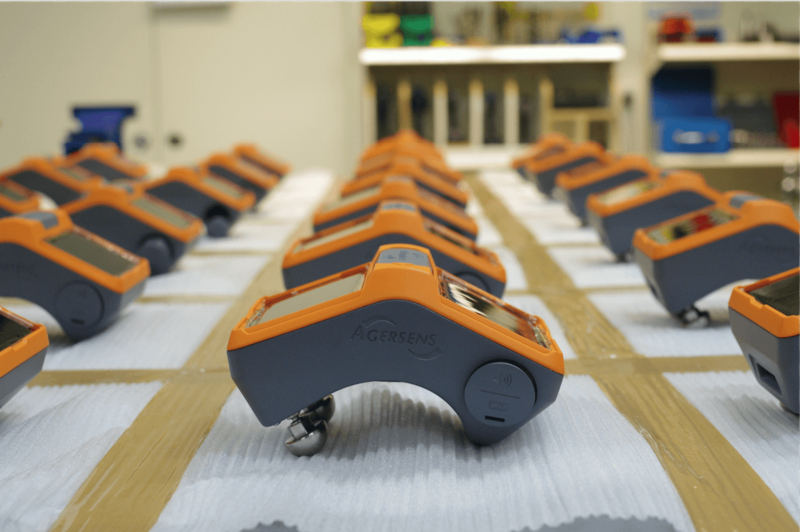 Ian Reilly, CEO of Agersens, said the team at The Ohio State University had the expertise and knowledge the company needed to better understand local livestock markets and determine how virtual fencing technology can help Ohio farmers get the most out of their land and livestock. “eShepherd is set to revolutionize livestock management by unlocking value from the digital transformation of the American beef and dairy industries and will make farming more efficient, more manageable, and less labor intensive,” said Mr. Reilly. This latest MoU comes on the heels of similar Memorandums struck with the University of Idaho and Kansas State University last year, as well as an extended collaboration agreement with the CSIRO formalized last November. 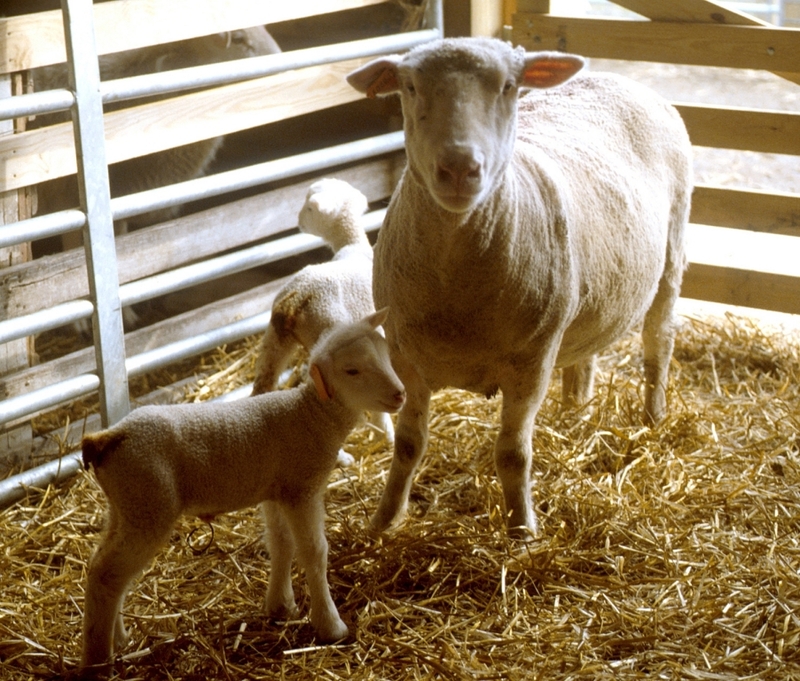 Land-Grant Universities in the United States have a unique role in providing farm extension services through their agricultural education mission for agricultural producers. In contrast such services are typically offered by Australian state government agriculture departments and Research and Development Corporations. “Ohio State will be seeking to add eShepherd to their kit of extension service technologies that can help farmers increase their efficiency and maximize productivity,” Mr. Reilly said. Dr. John Foltz, Chair of the Department of Animal Sciences at Ohio State, recognizes the technological and economic opportunities that eShepherd brings to Departmental research faculty and livestock producers in Ohio. “The virtual fence is an exciting technology, which we hope to utilize in numerous research projects to understand its potential as a livestock management tool,” said Dr. Foltz. 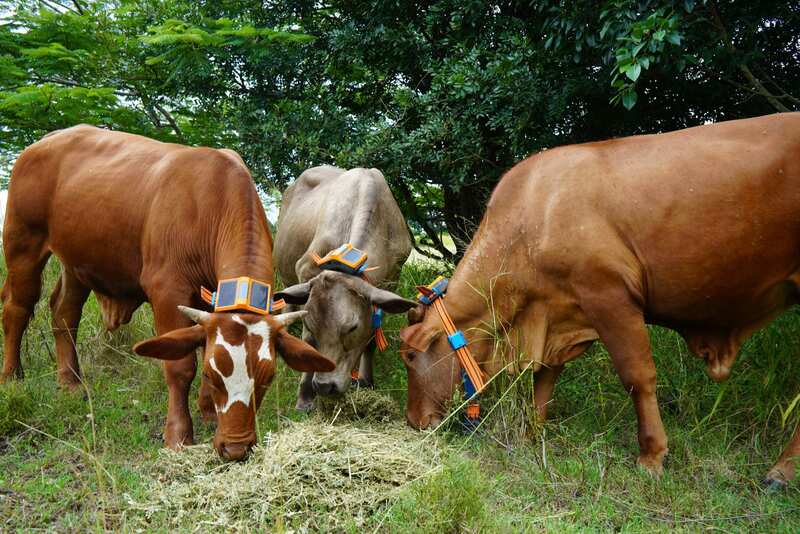 The transformative eShepherd technology uses a GPS-enabled, solar-powered smart collar containing a CSIRO-developed algorithm and an audio cue to currently train cattle to stay within their prescribed virtual boundary. Ohio State plans to investigate this in the beef industry as well as other livestock industries that could benefit from this technology, including those in the sheep and goat industries. The ability of the GPS-enabled collars to monitor and move livestock in real-time using mobile technology appealed to Animal Sciences Associate Chair, Dr. Anthony Parker. “The position of the livestock can be observed in real-time from the office on a tablet or computer. The technology has many practical applications for producers in Ohio from avoiding riparian, protected or overgrazed areas to moving livestock over a landscape to ensure an even grazing pressure,” said Dr. Parker. The eShepherd virtual fencing technology was patented by the CSIRO and licensed exclusively to Agersens worldwide. The business has already received orders for thousands of eShepherd collars in Australia, New Zealand, the United States, Canada, and the United Kingdom. Headquartered in Melbourne, Australia Agersens is an innovative agritech company revolutionizing livestock production globally by applying virtual fencing technology developed by CSIRO – to which Agersens holds the worldwide exclusive license. The Agersens team includes engineers, beef and dairy producers, animal behavior and welfare scientists, and business leaders committed to delivering this important innovation globally. Global partners include The Ohio State University, Kansas State University, University of Idaho, the CSIRO, State and Federal Governments, Meat & Livestock Australia, Dairy Australia, agricultural research organizations, cattle and dairy farmer associations, and natural resource managers. For 149 years, The Ohio State University’s campus in Columbus has been the stage for academic achievement and a laboratory for innovation. The university’s main campus is one of America’s largest and most comprehensive. As Ohio’s best and one of the nation’s top-20 public universities, Ohio State is further recognized by a top-rated academic medical center and a premier cancer hospital and research center. As a landgrant university, Ohio State has a physical presence throughout the state, with campuses and research centers located around Ohio. Development Center, The Ohio State University Extension, and two-year degree programs offered by the Agricultural Technical Institute. The college has campuses in Columbus and Wooster and has a presence in all 88 Ohio counties. It serves as the home for 330 faculty, more than 4,100 undergraduate and graduate students, and 1,230 staff. The Department of Animal Sciences at The Ohio State University is housed within the College of Food, Agricultural, and Environmental Sciences. Research in the Department of Animal Sciences aims to increase the economic profitability of agricultural animals and quality of their products, improve animal welfare, and lessen the environmental impact of animal systems. Posted by Braden Campbell at 8:00am March 19, 2019 Posted in Management and tagged Economics, Forages and Pasture, Management, Research. Bookmark the permalink.